Well, yesterday was the big day. I signed the papers and took delivery of my new car. 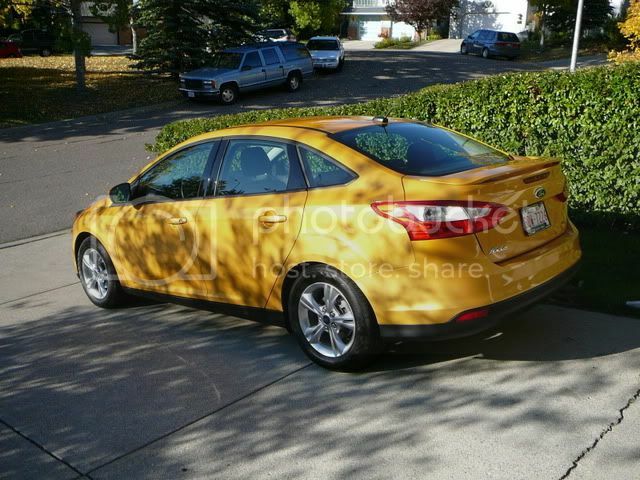 Yup, 2012 Focus. 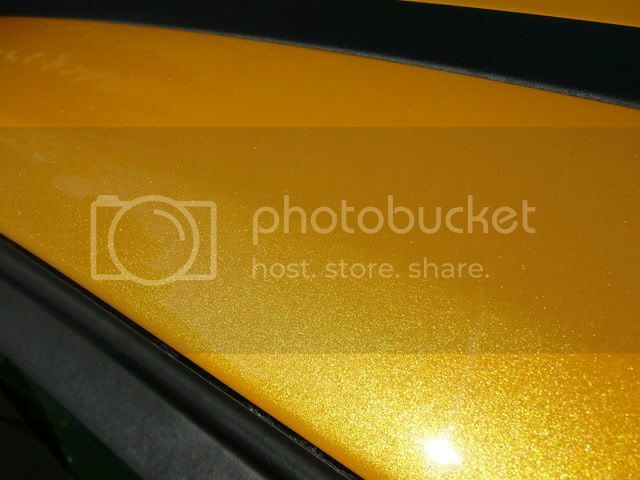 Specifically, an SE sedan with the 'Sport' package, in Yellow Blaze metallic. 5-speed of course. 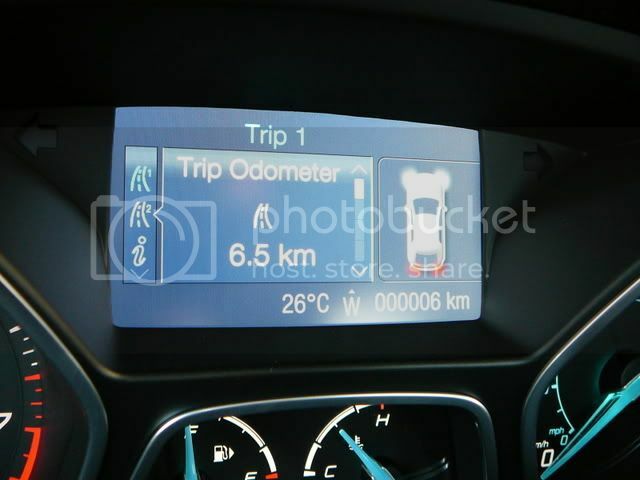 I picked it up with just 6 kilometers on it and it has just over 60 now. I plan to put many more on very soon. So far, it's an absolute blast to be driving it around town. I am very happy with it. Its not GM but its american so I approve lol. They are a good looking little ride even if its got to extra doors for some strange reason. lol Bold color your braver than me. I like the wild colors but im always afraid ill get sick of them. I like how it has a tuner like frontend. Is the Pontiac gone or did you keep it? 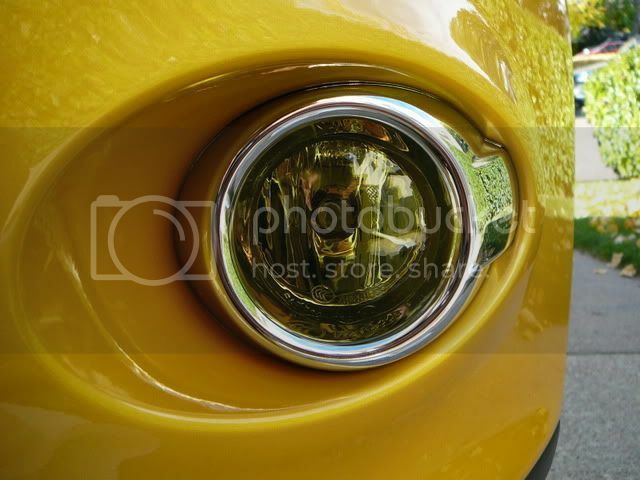 Very nice car! 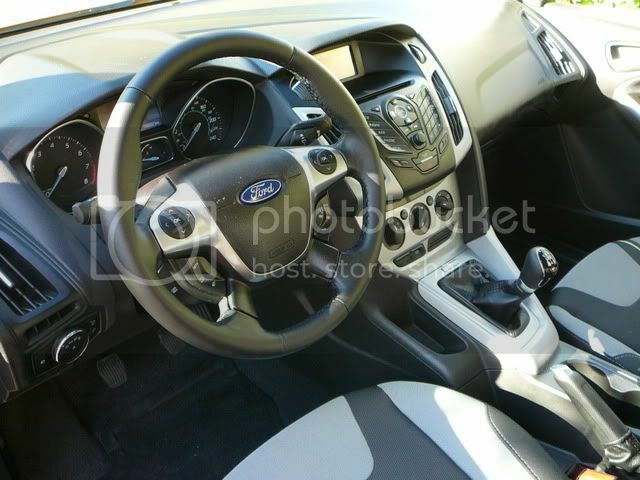 Haven't driven one of them yet but driven one of the new edges and explorers wow ford makes the steering wheel and the cluster busy now lol. It is cool that it lets you stream music over bluetooth without plugging it in. The sony my touch might make me crash though lol you kinda have to press it harder than you would think just kinda a side note. This car will be staying stock, for the most part. I'm sure I'll change a couple of things here and there to make it 'mine', but the point of going with a brand-new car was to have a warranty, so voiding any of them is out of the question. And no, the GP didn't go anywhere. It's still here and is staying here. I'm just glad to see American cars getting back into style. no turbo?....o wells add onez!!! Ford's been stepping up their game the past few years. And to make the Focus do a complete 180* as far as design, power, (well, basically do what us Americans have been begging for before...GIVE US THE EURO MODEL DAMNIT) I'd rock it. Manual too? Jelly. Oh, since I have a reputation to uphold, tint, low, wheels. Do it. 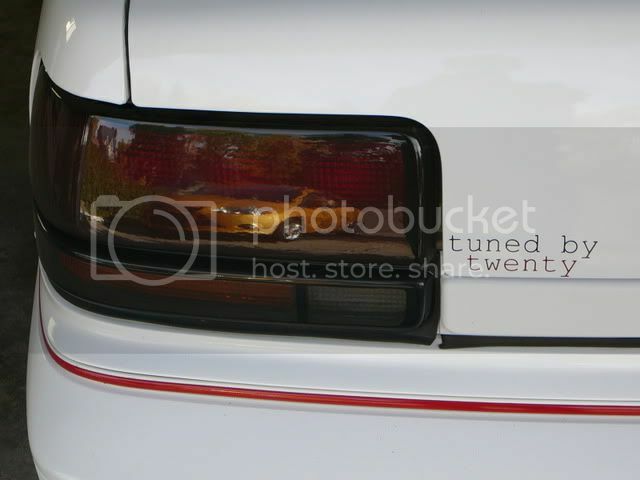 And since it bothers me to no end, HIDDEN EXHAUSTS ARE STUPID. Holy crap do I agree with you on that! I can't wait until I can fix that on my Benz! Today I took it out for a spin to put some more miles on it, and when I got back I was itching to change something. As I mentioned, voiding any warranties is out of the question. 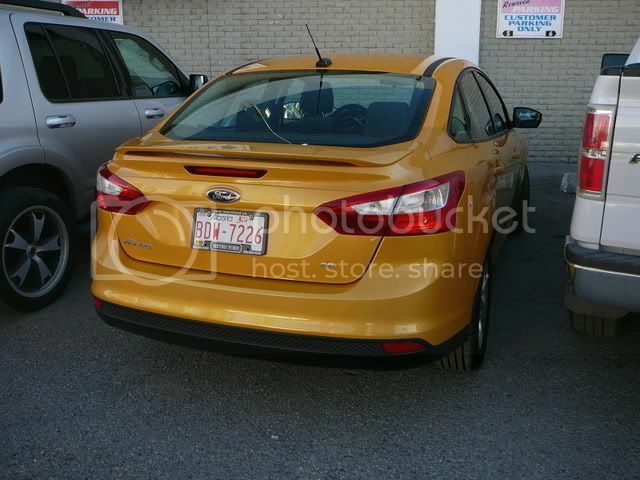 However, I can still make minor changes here and there just so that it's not exactly the same as other '12 Focuses. 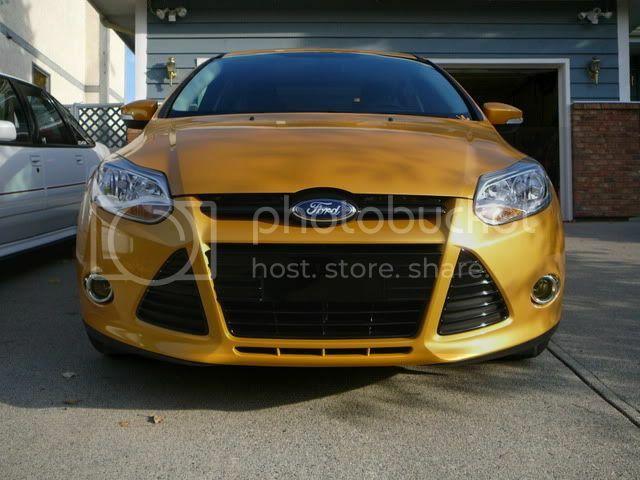 I started by taking some yellow vinyl leftover from the Grand Prix's lightbar and tinted the foglights yellow. And of course I then just messed around with the camera. 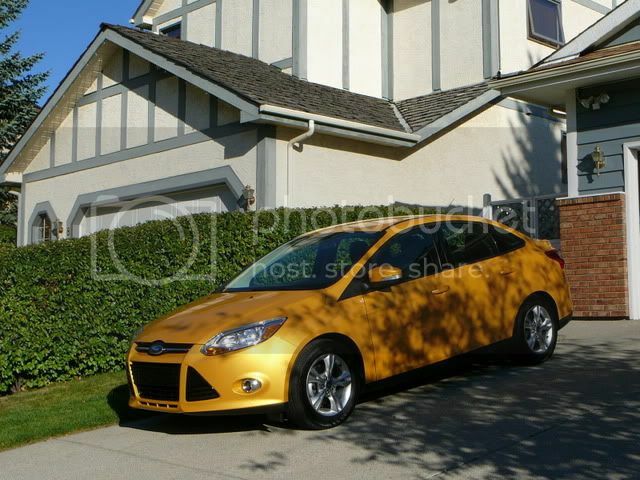 This car was definitely a good purchase, fun to drive and with the yellow paint it sure stands out. That looks good cuz of the color of the car. car looks great . a few more months and a shall have 2012 car too.
' 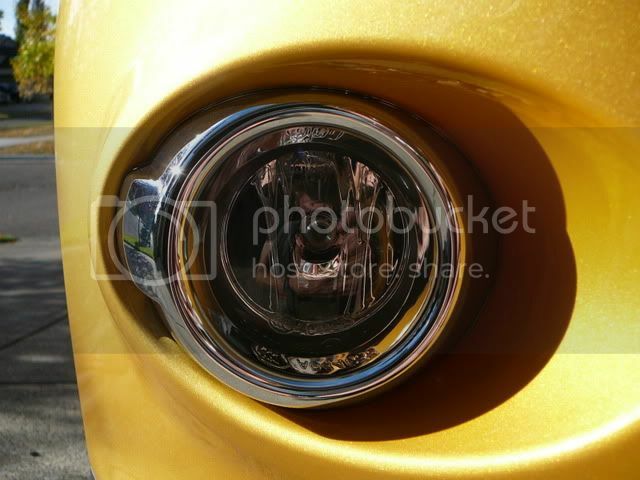 date='Sep 26 2011, 09:35 PM' post='59741'] Debadge! Very nice! Glad you went with an American car! Not a huge fan of the color but it's not bad. I really like this but I don't think it's something I'd buy. Overall good choice and glad you enjoy it! CONGRATS! And yes, it's a 5-speed. 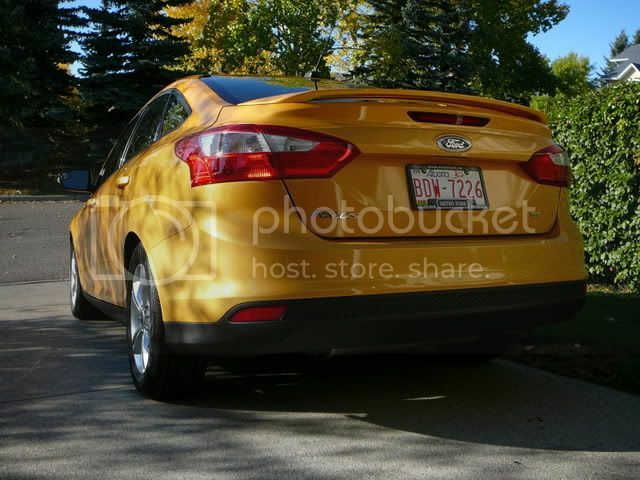 I think the upcoming Focus ST will be 6 though. Dude, basic bolt ons don't void warranties. See if Ford has a list of approved bolt on performance parts that won't void the warranty. Intake and exhaust would wake up the little bugger. I'm also trying to keep Judge the project. Yeah, good luck with that. 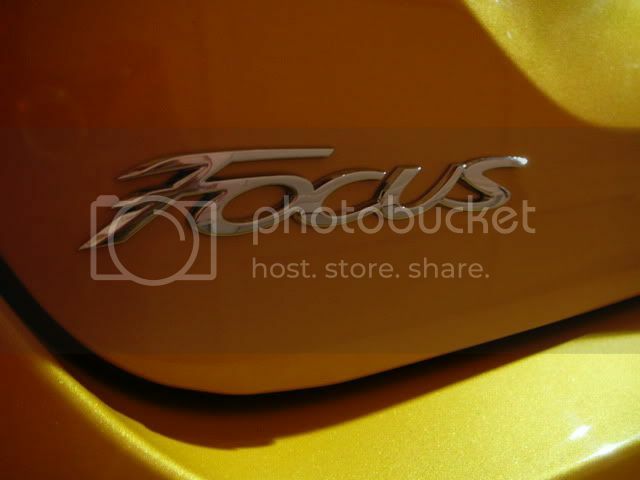 I'm now on a Focus forum, and parts are starting to be developed for the 2012s. Basically we're all waiting on things to start going up for sale. I just couldn't deal with a warranty. My urge to change things is too great. I got bored again. 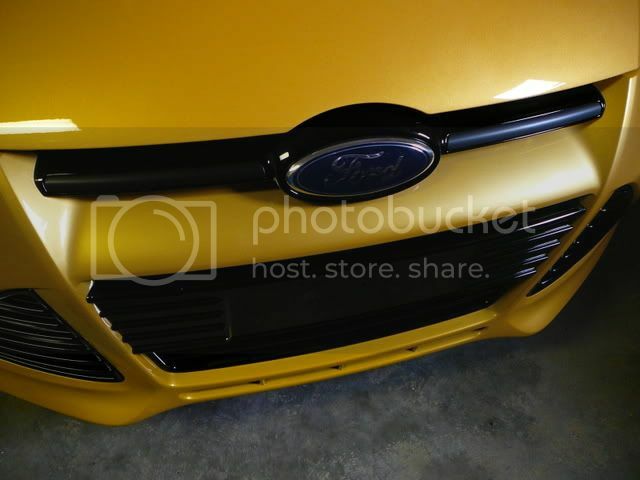 Browsing the Focus Fanatics forum I saw that blacking out the chrome upper grill was becoming more common, and I really liked it. I luckily had some matte black vinyl laying around so I went ahead and wrapped the chrome pieces. The major items on my agenda now are a clear bra on the nose, winter wheels and tires, and other items to prepare the Focus for the coming 6 months of snow. Meanwhile I'm also waiting on more parts to come out for the '12s, because (Who was I kidding) I can't leave it alone. My Grand Prix will have competition for my attention.